LASIK refractive surgery is an advanced and contemporary way to decrease or eliminate your need for eyeglasses and contact lenses. During this laser procedure, your eye surgeon will direct the cool light of an excimer laser to reshape your cornea in order to correct any refractive error. LASIK can thereby resolve your nearsightedness – leaving you with sharp vision without eyewear. In general, the results are outstanding and many of our Washington, DC, patients enjoy crisp and clear vision after the surgery. Be sure to talk to your Washington eye doctors if you suffer from dry eye. Consultation: our Washington, DC, eye doctors will explain the surgery to you, with a full discussion of the benefits and risks. We invite you to ask all your questions, and we’ll answer them patiently. To check your candidacy for LASIK, you will also need a comprehensive eye exam, during which we will assess your corneal thickness and curvature, tear film, vision prescription, and the structure of your eyelids. If the results determine that you are a good candidate for LASIK, we will refer you to a top eye surgeon nearby. Post-operative eye care: most patients need to visit our Washington, DC, eye doctor on the day following your LASIK surgery. We will check to make sure that your eyes are healing properly. After this initial eye exam, you will need to return to our office for regular examinations throughout the next few weeks and months. Comprehensive information: your Washington, DC, optometrist will take the time to respond to your questions, as well as give you detailed guidance and reassurance. 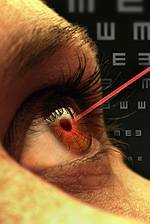 Many eye surgeons do not have the time to provide this type of patient care. LASIK co-management will transform your whole experience of laser refractive surgery into a smooth process. From deciding whether or not to have the procedure to providing medical care while your eyes heal, our Washington, DC, eye doctors will guide you through every step, from start to finish.